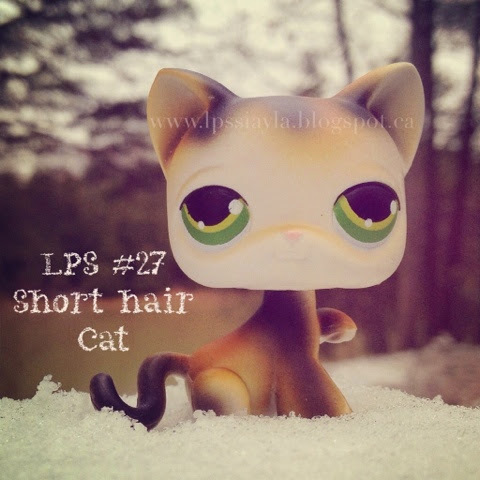 This sweet little calico kitten is pet shop number 27. It has two toned green eyes. I guess he thinks the snow is cold as he keeps raising his paw!